Could you image a world without plastic? 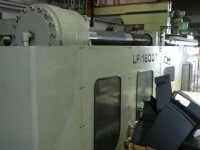 Most plastic parts are made on injection machines like these fully automatic and imported ones from Japan. We even have a 1,600 ton injection machines for 5kg+ parts. Injection: is most common manufacturing process. Injection; hot runner: is used for high volume of small components to reduce wastage and ultimately manufacturing costs. Extrusion: is suitable for long shapes such as house fixtures and furniture. See our products pages for more details. Depending on the material, we can match any color you like, and maintain color consistency for each shipment for many years to come. Send us an email with the full details of your project, and with our expertise, and we'll find your perfect solution. Click to view some of our plastic products.